Child Care Resource and Referral programs (CCR&Rs) are coordinating and planning agencies for local child care services. They provide support to child care providers, parents, businesses and local governments. Allegany County Community Opportunities and Rural Development, Inc.
Child Care Council of Dutchess & Putnam, Inc.
Community Action of Orleans & Genesee, Inc. 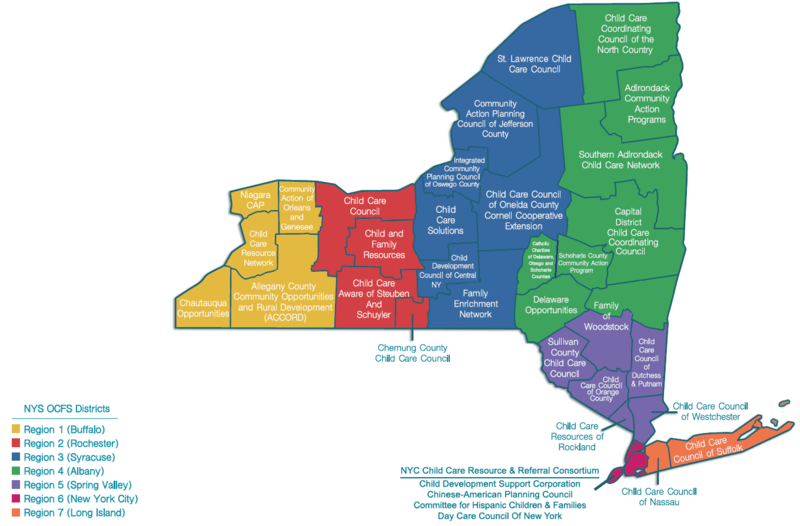 Integrated Community Planning Council of Oswego County, Inc.
Southern Adirondack Child Care Network, Inc. The Committee for Hispanic Children & Families, Inc.